Another great thing about this bath bomb recipe? 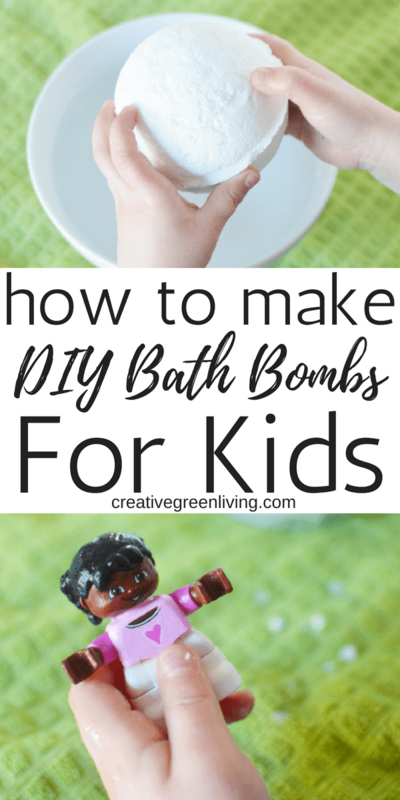 It teaches you how to make kids bath bombs with toys inside! They really make bath time fun for your kids - not only do you get the bath fizzy experience but they get a fun prize, too! Ready to get started making DIY bath bombs? Let's do this! Looking for more DIY bath bomb recipes? Bath bomb molds, I used the largest one from this set and it worked perfectly! A note about essential oils: These bath bombs are UNSCENTED as many children are sensitive to smells. If you would like to add essential oils, I love this Organic Lavender Essential Oil from Rocky Mountain Oils, which is a kid safe oil that promotes relaxation (perfect for pre-bedtime baths!). To use it, add 10-20 drops before adding the water. Another kid safe essential oil option for bath bombs include chamomile. You can even do half chamomile and half lavender essential oils in the same bath bomb. Start with 5 drops of each and work up from there. Have everything measured and the bath bomb molds out. Double check that your toy will fit into the center of the mold you would like to use. You may need to bend their legs or adjust their arms so they fit. Thoroughly mix together the baking soda and citric to make the dry base for the bath bomb. Bath bomb fun fact: When the baking soda and citric acid get wet, they create the chemical reaction that makes the bath bomb fizzy! Cool! DIY bath bomb tip: For this step, I advise you wear gloves! If you want to add essential oil, add the drops over the dry mixture now. If you want to add soap coloring, add it now as well. Remember just a few drops will go a long way! Very slowly pour about a teaspoon of water into your hand. Use your hand to massage the water into the dry mixture. Continue adding 1 teaspoon of water at a time, massaging it into the dry ingredients as you go until the mixture will clump together when squeezed in your hand. If you find you accidentally added too much liquid to your bath bomb recipe, add more baking soda and citric acid to the bowl. Massage it in as you go until the correct texture is acquired. Scoop up some of the bath bomb mixture into one half of the bath bomb mold--do not pack it down. Next, press your toy into it, mound more of the mixture on top. Then fill the other half of the mold with more of the mixture (mounding extra on top). Quickly press the two halves together -- hard. I find that if I use a slight twisting pressure in from both sides it helps to lock the two sides together. DIY bath bomb tip: If your toy is too large, there may not be quite enough surface space for the two sides to bond together. If you are putting toys inside and are having a hard time getting the sides to stick together, try using a larger mold to accommodate your toy. You should be able to carefully and easily remove the bath bomb molds from the bath fizzy. If it is sticking, you can use a wood or silicone spoon to gently tap on the molds to try to help loosen them. Sometimes they stick because the mixture is too wet. If this is the case, put all the bath bomb mixture back in the bowl and add more baking soda and citric acid until the mix is dry but still holds it shape when squeezed. Allow the bath bombs to air dry until completely solid. Depending on humidity this may be 24 to 48 hours. They’re done when they sound and feel crusty. When you're ready to enjoy your bath bomb, simply let your child add it to water in a bowl or their bath and be surprised by toy the center! 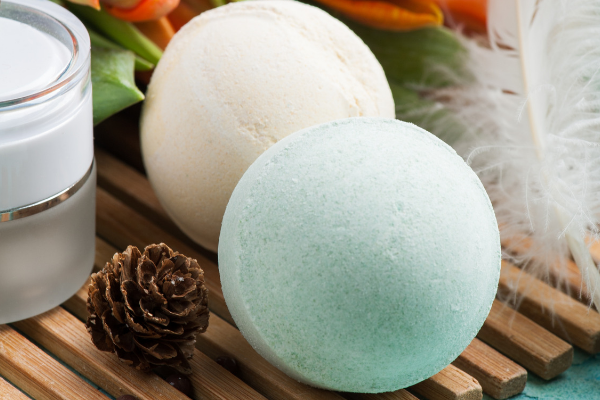 These DIY bath bombs also make great gifts, stocking stuffers or Easter basket filler. Just wrap them in plastic to keep them dry before bath time. Clear snap-together ornament molds can be used to shape bath bombs and also make a convenient way to package them and keep them dry until you are ready to use them! If you run into trouble while making this bath bomb recipe, check out answers to some of the common issues, problems and questions people have when making bath bombs below. How do you make bath bombs with essential oils? If you want to add essential oils to your bath bombs, just add them right before adding the water. Don't forget to check to be sure your essential oil is safe for kids! How do you make bath bombs more fizzy? To keep the ingredients kid safe and reduce your chance of having a bad reaction with sensitive skin, this recipe is admittedly super simple. While your bath bomb will definitely fizz, if you want to upgrade to intense fizzing action, try this recipe that teaches you how to make bath bombs like lush with SLSA and cream of tartar. Can you make bath bombs without molds? 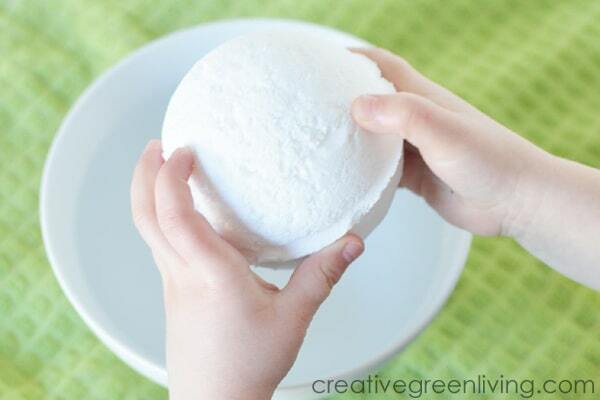 You don't have to buy "bath bomb molds" to make DIY bath bombs at home! Bath bomb mold substitutes include snap together plastic Christmas ornaments and plastic easter eggs. You could also use an ice cube tray (funky shapes encouraged!) or just form balls with your hands. Of course, using a mold will create a more professional looking result but if you care less about looks and more about performance, get creative and use what you have around the house! Can bath bombs grow mold? If you made this recipe without any additives (so just baking soda, citric acid and water), the pH of the bath bombs should not support mold growth. Even with additives - a few drops of essential oil or soap coloring shouldn't change the pH enough to support mold growth. If you think your bath bomb is growing mold, stick to the when in doubt, throw it out rule. If your bath bomb looks or smells off, toss it and make a fresh batch. What makes the bath bombs fizz? When you add a bath bomb to water, the citric acid and sodium bicarbonate (baking soda) are able to create a chemical reaction that creates CO2 (also known as Carbon Dioxide). Neat! Adding other ingredients like SLSA, cream of tartar and polysorbate can enhance this fizzing reaction. Check out my other bath bomb recipes to see different variations of this recipe. How long do bath bombs need to dry? In most places, your bath bombs will be dry in about 24 hours. If you live in a very humid climate, it may take your bath bombs longer to dry. How long to bath bombs last in the tub? That depends on the size! Small bath bombs will dissolve faster and large bath bombs take longer to be used up. Want to try and make a super mega bath bomb? Try using small bowls to serve as a mold and pack the entire contents of one batch of this recipe into a single bath bomb! How long do you let the bath bomb sit in the mold? You can remove your bath bombs from the molds right away. Depending on how damp your mixture wasn, this can sometimes lead to a slightly flattened bottom side as the mixture flattens slightly while drying. To keep a round shape, press the mix in the mold and remove one half. Allow the bath bomb to sit in one half of the mold for 15-30 minutes before gently removing and allowing to dry mold free. If you love this easy bath bomb recipe, be sure to pin it to save it for later! LOOKING FOR MORE BATH BOMB RECIPES? Creative Green Living has the best bath bomb recipes! 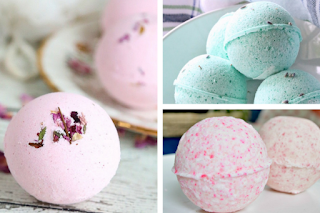 Learn how to make bath bombs at home with any of these great DIY bath bomb recipes. 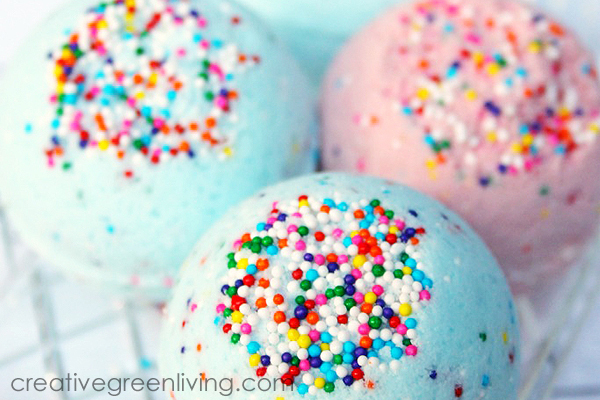 This yummy bath bomb recipe features a yummy bubblegum essential oil blend and rainbow sprinkles! It's the best bath bomb recipe for tweens and teens. 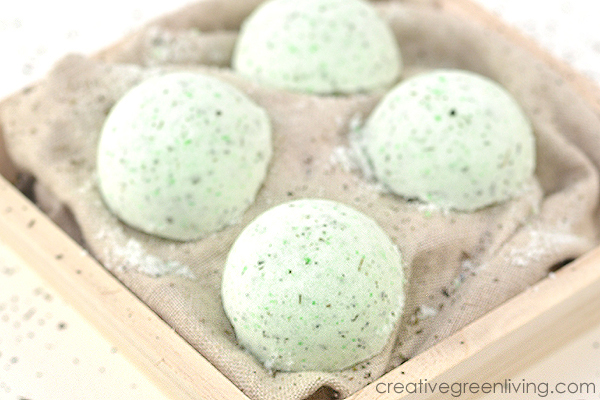 These easy homemade bath bombs harness the power of green tea to make a relaxing green tea bath with the fun of a bath bomb. You can make these with or without the green dye! Learn how to make Lush bath bombs at home with this ultra-moisturizing avocado bath bomb recipe like the AvoBath at Lush. Carissa Bonham is a lifelong crafter and mom of two creative boys who are obsessed with bath bombs. 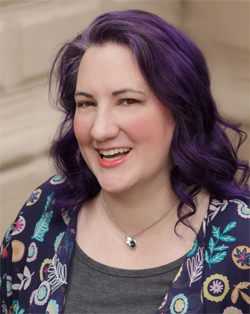 The owner and lead writer at Creative Green Living, she won the Craftys Award for the "Best Craft Blogger" category in 2016 and the ShiftCon award for "Best DIY Blogger" in 2018.